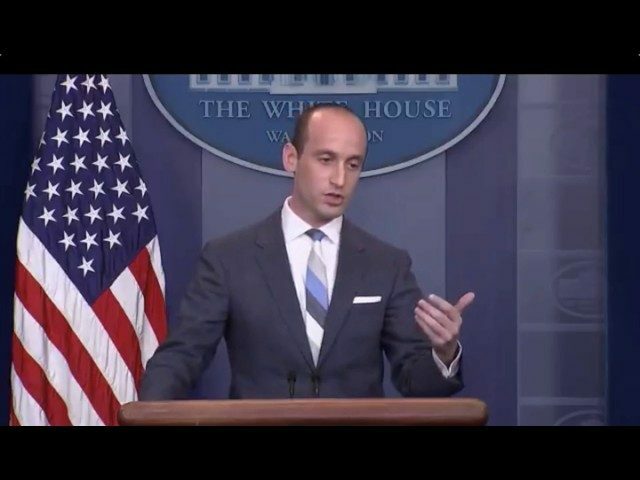 2 Aug 2017 Washington, D.C.
WASHINGTON, D.C. — Senior White House Advisor Stephen Miller fought back against New York Times reporter Glenn Thrush at Wednesday’s White House press briefing over a new Trump-backed legal immigration reform bill entitled the RAISE Act. Thrush then accused the administration of pushing infrastructure out of the way for immigration, stating that he had “sources” that have claimed that is the case. Miller then addressed Thrush’s first request by citing several studies from individuals including: George Borjas on the Mariel boatlift, Peter Kirsanow of the U.S. Civil Rights Commission, and Steve Camarota of the U.S. Center for Immigration studies. As Thrush came back citing a study from the National Academies of Science, Engineering and Medicine, Miller replied citing data from that study that said mass immigration may cost close to $300 billion dollars a year. “If low-skilled immigration was an unalloyed good for the economy then why have we been growing at 1.5 percent for the last 17 years at a time of unprecedented new low wage arrivals? 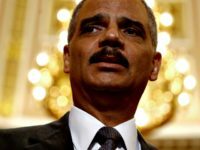 It’s just, the facts speak for themselves,” said Miller. He then said having ultra-high skilled workers at the back of the line makes no sense in 2017.